If you’ve never had Filipino Garlic Fried Rice, then you are missing out. 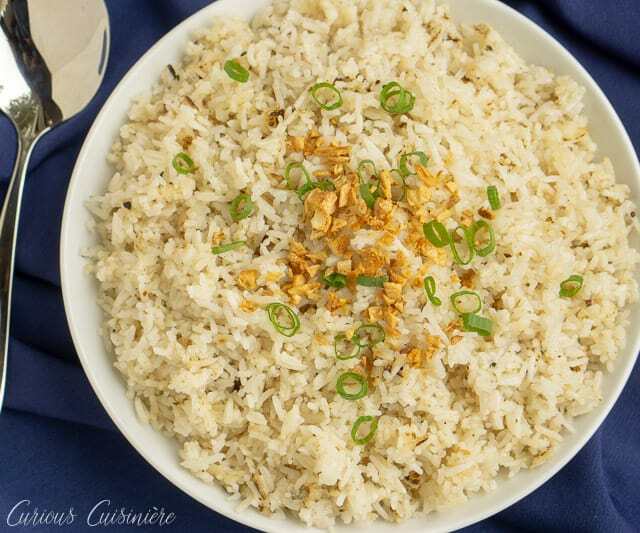 Garlic elevates this simple fried rice recipe, giving it a robust flavor that make it a great side dish, no matter what meal you eat it for! 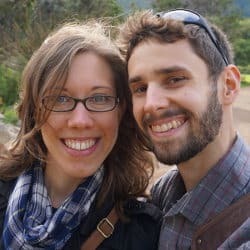 What Is Filipino Garlic Fried Rice? 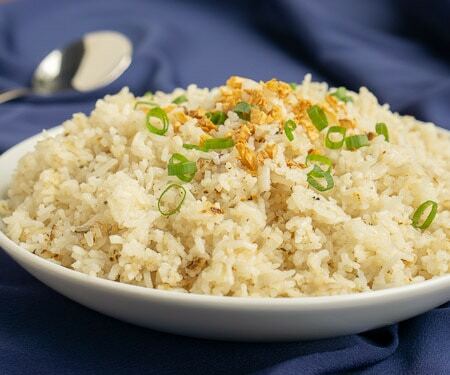 Garlic fried rice is a favorite side dish in the Philippines. And what’s not to love? 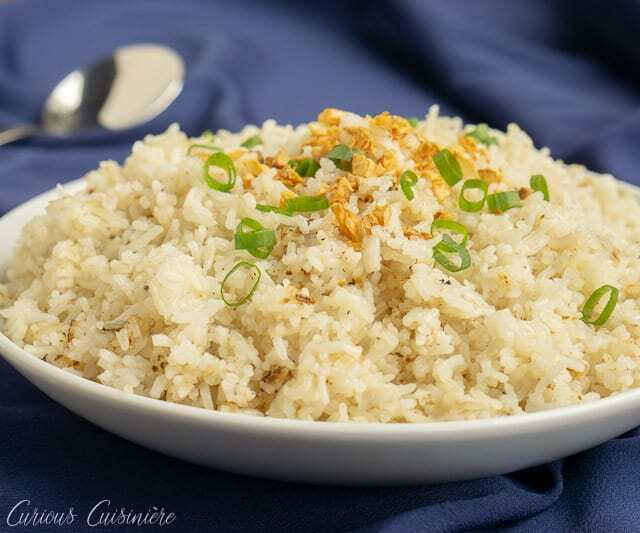 It’s simple to make (you don’t have to worry about all the add ins of Chinese fried rice or Thai fried rice) and the garlic elevates the flavor of the rice making this easy dish so much more than a plain rice side dish. 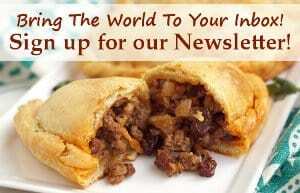 How Do You Make Garlic Fried Rice? Making garlic fried rice is incredibly easy. It only really involves two steps. First, you need to make your garlic oil for frying the rice. A by-product of making this garlic oil is a nice set of fried garlic, which acts a a wonderful garnish for the rice (and any leftovers are great on salads, potatoes, or anything really). 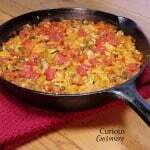 In a wok or skillet, you heat your oil and add the minced garlic. You then stir fry the garlic until it turns a light golden color. You need to watch the garlic carefully during this step, because it can turn from barely tan to dark brown quite quickly. After you remove your fried garlic from your pan, it’s time to add the cooked rice. The key to good fried rice is cooking the rice undisturbed. So, once you stir your rice to get it coated in the tasty garlic oil, leave it alone for 3-5 minutes, so that it starts to develop a nice crust. You’ll do this a couple more times, until your rice is cooked. Then you add your fried garlic back in, along with salt and pepper to taste. 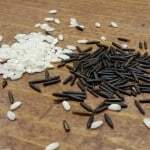 It’s so simple, but such a great way to elevate your rice! What we discovered is that the best rice to use when making fried rice is leftover rice. Cooked rice that is a couple days old is the perfect candidate for turning into delicious fried rice. You know how rice gets kind of hard in the refrigerator after a day or two. It’s hard to revive it into the tender, fluffy goodness that it was straight out of the pan. Rice gets hard because it loses moisture in the refrigerator. However, when you make fried rice, it is important that you have very dry rice. If your rice is too sticky, it will just clump and get gummy in the oil. 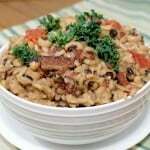 When cooked rice is dry, the grains separate more easily and get nicely coated with the oil. 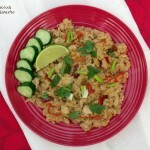 You don’t get a clumpy, greasy mess, you just get tasty fried rice! 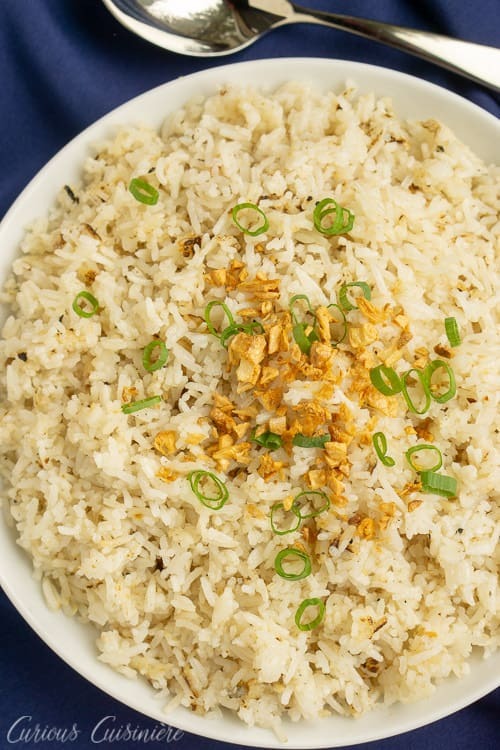 Filipino garlic fried rice is typically served for breakfast with Filipino omelettes. If you don’t want to make the omelettes, you can also serve your fried rice topped with fried eggs. Just thinking about a runny-yolk egg over this garlic-y goodness is enough to send us to the kitchen to make another batch! 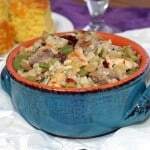 If you’re not big on the idea of rice (or garlic) for breakfast, this dish makes a great lunch or light dinner. 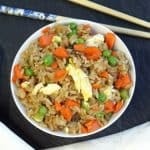 Some people will add vegetables (like peas) and meat (like cooked chicken or pork) to the garlic fried rice to make it more of a meal in itself. 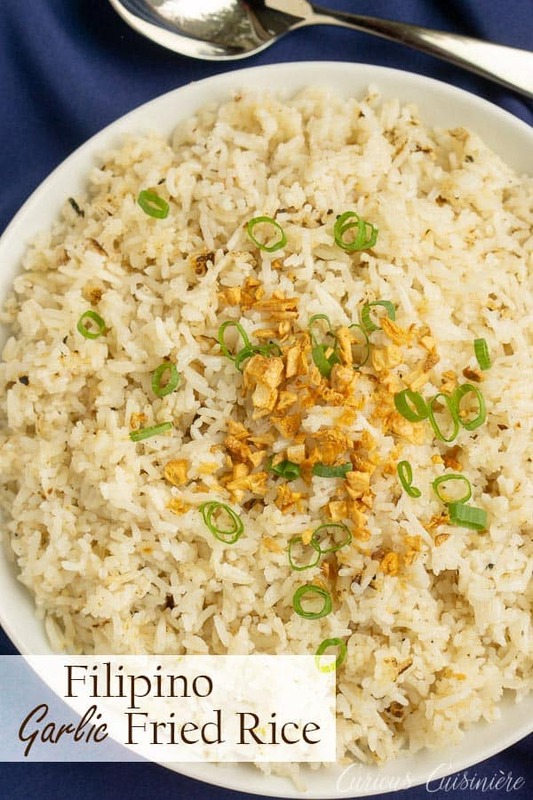 Whatever way you eat it, you need to give this garlic rice recipe a try! 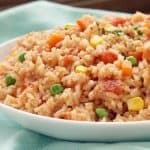 Garlic elevates this simple fried rice recipe, giving it a robust flavor that make it a great side dish, no matter what meal you eat it for! 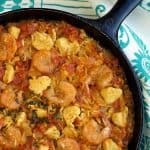 In a large wok or skillet, heat the oil over medium high heat. Reduce the heat to medium and add the minced garlic. Stir fry the garlic for 2-3 minutes, until it turns a light golden color. Carefully remove the garlic from the pan, leaving the garlic-infused oil behind. Drain the fried garlic on paper towels until cool. Add the cooked rice to the garlic oil in the wok, stirring to coat all the grains with oil. Spread the rice out in the wok, covering as much surface area of the hot pan as possible. Let the rice cook, undisturbed, for 3-5 min. Stir the rice well, then spread it out again and cook, undisturbed for 3-5 min more. Continue this process until the rice is cooked to your liking. Once the rice is golden and starting to get crispy, return the fried garlic to the pan (saving some for garnish, if desired). Season the rice with salt and pepper and transfer it to a serving dish. Garnish with extra fried garlic and sliced scallions. If desired, serve the rice topped with fried eggs.